I am all about the simple things in life. Simple doesn't mean easy, it just means uncomplicated. The simple life is a pursuit of the things that really matter by removing or diminishing the things that don't. It looks different for every family, so take what is useful to yours and discard the rest. 1. Ditch the cover on your high chair so that it's easily wiped clean. 4. Have one colour of sock per child. 5. Let them paint on recyclables. 6. Teach them to do chores. 7. Let them help you with your chores. 8. Sing hymns together while you work. 11. Read Grace-Based Parenting . 12. 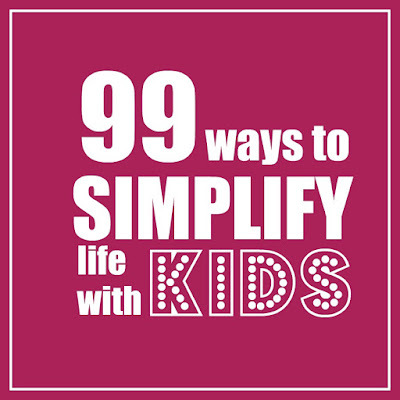 Read Simplicity Parenting . 13. Smile at your kids when you speak to them. 14. Have a Daily Rhythm. 17. Fill a basket in the fridge with simple, healthy, kid-friendly snacks. Let the kids pick their own snack from the basket at snack time. 18. Read to them from the Little House Series . 19. Make or buy some story time pillows. 20. Encourage them to play outside every day. 21. Label toy baskets and clothing drawers with pictures instead of words for pre-readers. 22. Confiscate any toys that they fight over. Consider donating them to your church nursery or a local pregnancy crisis center. 23. Keep a pile of kitchen towels in a place the kids can reach so that they can clean up their own spills. 24. Expect them to eat what you are eating. 25. Use page protectors to make activity pages reusable. 26. Eat messy treats on towels on the kitchen floor. Or better yet, outside. 27. Let them get dirty. 28. Prioritize. Let go of the things that don't matter. 29. Tweak. Change things up until your system works for your family. 30. Have a place for everything. 32. Have more art supplies. 34. Encourage them to make up plays in the living room. 35. Sit down with a bowl of popcorn while they perform their plays for you. 36. Let your daughters play dress up in your fancy cloths. 37. Make up silly songs. 38. Do the chicken dance. 39. When possible, choose sturdy, well crafted toys that delight the senses and encourage creative play. 40. Make them up-cycled painting smocks. 41. Use your local library. 42. Keep a separate basket or bin for library books so that you always know where they are. 43. Keep a binder full of quiet time activities and simple craft ideas. 44. 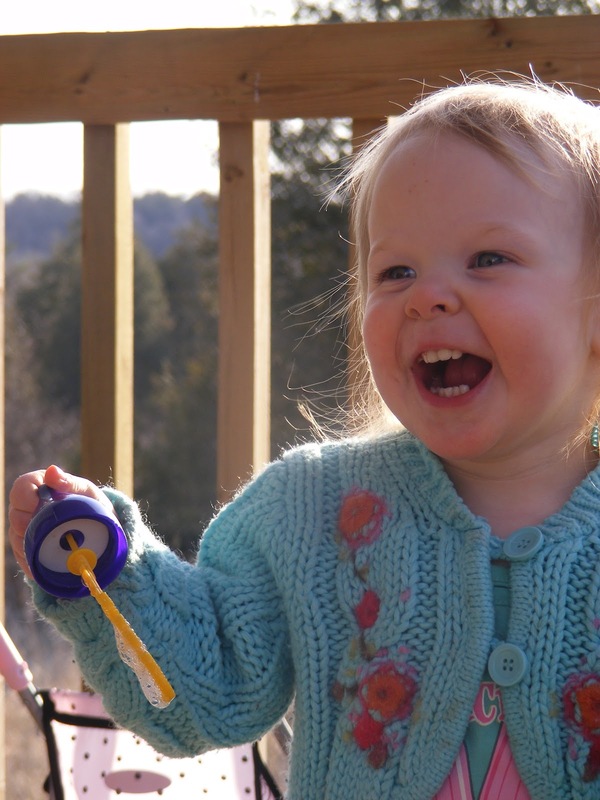 Let your toddler play with a metal mixing bowl and a wooden spoon. 45. Teach them that they are in control of their emotions. 46. Teach them that they are responsible for their actions. 48. Teach them how to make polite dinner table conversation. 49. Create a meal plan. 50. Keep a list of simple meals for hectic days when everything goes wrong. 51. Every once in a while, choose to believe that potato chips are a veggie. 52. Read Toilet Training in Less Than A Day . It worked wonderfully for my two oldest daughters. 53. If #52 doesn't work, relax. I promise you they won't go off to college wearing pull-ups. 54. Add a couple marbles to a container of cream and let them shake it into butter for Thanksgiving dinner. Not only are they learning something and contributing to the meal, they're happily occupied while you prepare the rest of the meal! 55. Have a buy-nothing Christmas. I dare you! 56. Teach them to sleep through the night. When you figure out how, let the rest of us know. 57. You can use the same size sheets for the crib, play pen, and (folded in half) the bassinet. 58. Plastic cups are the best bath time toy ever! 59. Grow a garden. Digging in the dirt is good for the spirit. 60. Invest in a few kids cd's that won't drive you absolutely bonkers. 61. Let them help you decorate cakes and cookies. 62. Enjoy free and nearly-free seasonal activities in your community. Visit parades, agricultural fairs, and corn mazes. 63. Keep only their best artwork. Store it safely so that they can look back on it someday. 64. Use non-toxic cleaning supplies so that the kids can safely help. 65. 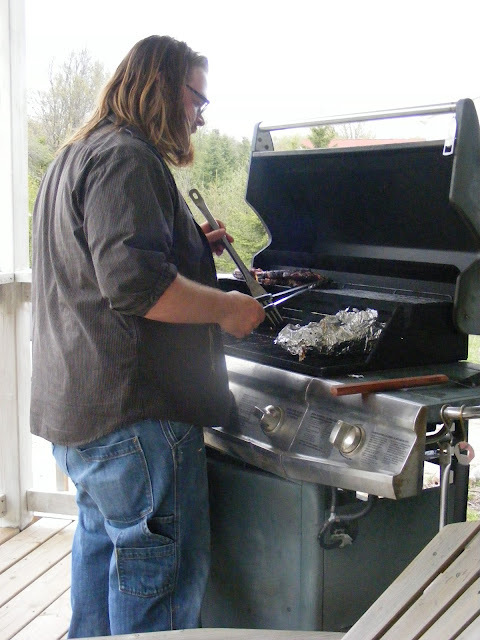 Barbecue more often. I can't explain how this simplifies things, it just does. 66. Core apples like this. 67. Pin baby socks together like this. 68. Decide not to care what strangers at the supermarket think of your parenting. 69. Don't let comparison steal your contentment. 70. Occasionally insist on a Saturday with no plans or to-do lists. 71. Learn to go with the flow. 72. Make your own play dough. 73. Explore your own back yard. 74. Walk barefoot in the grass. Talk about how it feels. 75. Go for a drive in the country. Answer their questions about the cows and the horses and the barns. 76. Go for a drive in the city. Answer their questions about the buildings and the noises and the people. 77. Tell them about when you were a child. 78. Teach them that they are not allowed to bang on the door while you are in the bathroom. This is life changing! 80. Keep paper and crayons in your purse or the van. 81. Keep an extra set of clothing for the entire family in the van. You may never need it, but if you do you will be really glad that you took my advice. 82. Apply the "HALT" method to your parenting. 83. Turn cardboard boxes into castles and cars. 84. Watch (age appropriate) documentaries together. 85. Watch the entire What's In The Bible dvd series together. 86. Wait until the kids are in bed to clean up their messes. 87. Or clean in little spurts throughout the day. 88. Enforce the "One in, One out" rule. Every time your child receives a new toy or clothing item, donate an old one. 89. Make planned-overs (intentional left-overs so you don't have to cook the next day). 90. Double your favorite recipes and freeze half for a hectic day. 91. Give your children simple, handmade gifts. 92. Use the Alternative Gift Registry to encourage simple, meaningful and practical gifts for holidays and life events. 93. Write a family mission statement. 94. Write a mission statement for your home. 95. It is perfectly acceptable to spend sick days sitting on the living room floor watching entire seasons of The Berenstain Bears. 97. Stop trying to do every great idea you see on pinterest. 98. Take lots and lots of pictures. These days will slip by quickly. 99. Don't get so wrapped up in the simple things that you forget to be a little over-the-top sometimes. ***This list contains affiliate links to some of my favourite resources. Click Here to learn what that means. Thanks for visiting The Complete Guide to Imperfect Homemaking! Please take a moment to "like" me on facebook. As a soon to be first time mom I really appreciate your advice! thanks for posting!! I loved it!! Thank you for posting this! What a wonderful, simplistic & positive list! 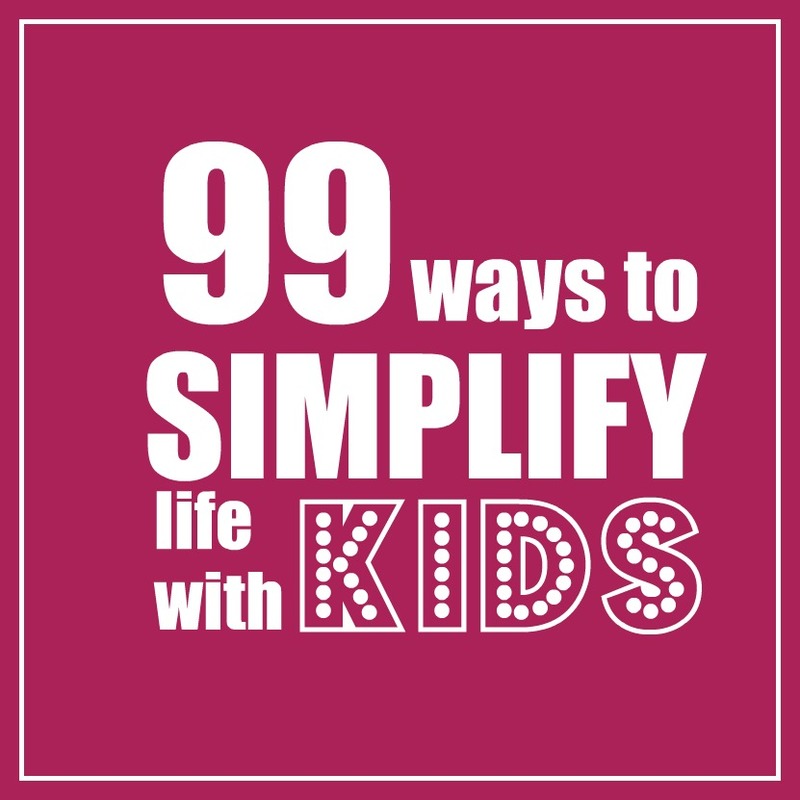 i don't have any kids, but this list was so amazing that i've read every item and filed a few of them away for later in my head :) leaves you with a nice feeling either way, like life doesn't have to be so complicated. Love this! Saved it to read again and again! What a wonderful list! Thank you for taking the time to share. I gained some ideas and was reinforced in others. Your list is a great reminder to take it easy and enjoy your moments while still being practical along the way. I love the ideas. It was very encouraging and I have been looking at some of the links. I just bought one of the books on Amazon! loved this. thank you for some reminders and some new tips. I love your posts, they are always so inspiring and grounding! Hi Jennifer! It's simplicity #2377. I made dress "c" from that pattern, but with some small changes. I think you are a genius! I need help with #24 though. Do you let them just sit at the table and cry and cry? I was a picky kid and my son is just as bad. It was miserable as a kid, and it's miserable now as a parent. My kids have never been offered anything other than what is for dinner, so they just don't know to complain. There are some things they don't like (like mushrooms) and we are teaching them to quietly move the things they don't like to the side of the plate and eat the rest. But they never get a separate meal...they eat pretty much everything. In fact,my kids are less picky than I am! Because we've always done it this way, there are almost never any crying fits at the table. We never make them eat...there just isn't anything else for dinner so their choices are to eat what's in front of them or not at all. They always end up deciding to eat what is in front of them. I had a picky Eater. As a single mom with 2 jobs it just happened. But, as soon as I got married we vowed to eat dinner together and no special requests. A few tips: Be consistent, let them help cook, let them serve themselves (measuring cups with handles work awesome), don't leave the table until they are done, let them take "no-thank-you" bites (we diown he number of bites for how old she is), try to have at least one thing on the table that is a well liked item, and there is no shame in bribing- we set up a paper chain. When all the chains were gone she got to pick a dinner or rent a movie, etc. It took a good month, but we didn't give up! I just found you through...Pinterest, I think. What a treasure! Great list that I will probably return to. The daily toy rotation idea looks like one I can implement pretty easily, and sound like it will make a big difference for us. Thanks! Kelly! I think this is one of my favourite posts that you have done - what an inspiring list! Ok, glad to read "n.56. Teach them to sleep through the night" (and here I was already thinking how???. " When you figure out how, let the rest of us know". and at this point I feeled soooooo good!! LOL! WONDERFUL LIST. I TOTALLY AGREE WITH THOSE POINTS. ANd children who gets dirt are always the most happy children of all! p.s. I'm sharing your post on my Fb...hope you do not mind! I got that one down pat! Took till my fourth kid but I got it finally!!! From the day they are born give lots of night time snuggles and then a bath, then pjs and last feeding for the night, lay them down bundled almost over warn and AWAKE read short story, light off no noise and walk away. Granted babies need feeding more than once at night but if you continue with this routine by the time their bellies can handle 6 hours without food they will sleep! Once they no longer need breast or bottle feeding a before bed limit what they drink starting an hour before bed. That way they pee less at night and it doesn't wake them. Helps when potty training too. P.S. Your children are so beautiful and have that special light in their eyes! thanks for sharing. i'll be sure to come back here if i ever become MOTHER! this is great! i need this in a printable format...love your ideas. Yes! Yes! yes! THANK YOU!!!!!!! this is so perfect ... I have only one child right now (one year old boy) and still struggle sometimes with how to make it all work. this list is very encouraging to me! You are SO RIGHT! I will try, I promise! Thanks! A mom I know (and deeply admire)lets her 4 kids eat popsicles ONLY while they are stripped down to their undies and sitting in the bathtub. I think she's a GENIUS! On sleeping through the night, some friends directed us to the book "On Becoming Babywise." It's work for the first six weeks or so, but pays off quickly! Both of my girls were consistently sleeping 7 hours at six weeks, and my 3-month old has slept 12 hours straight the last two nights, and she's strictly nursing! All three of my boys were good sleepers - sleeping through the night by 6-8 weeks. Didn't do anything differently than my parents did ~ schedule the last feeding as late in the night as possible and make it a good one! We never tip toed around a sleeping baby - actually the opposite - would leave a TV, radio or fan on to create noise. The boys can sleep just about anywhere and slept from 9 pm until at least 7 am normally from 1 year old on. Remember - you run your household, not the children. When children run the household - chaos is inevitable. Ha ha! Be careful, you mention Babywise and some people get very upset ; ) Babywise helped me immensely. I did not stick to it strictly, but it gave me confidence as a parent. This is a wonderful list! I will actually incorporate some ideas into our family and see how it works. Thanks for all your insight! Thank you for these suggestions (and reminders). I would like to add: take pictures of all artwork and actually print them out - one huge photobook per kid... they love looking through those books! On Sleeping through the night: make sleep a priority. Healthy Sleep Habits Happy Child has been a wonderful edition to our parenting books. Naps and bedtimes are on schedule and everyone gets a great night sleep. My 2 kids are 3 and 1 and other than a cold here and there, they both sleep 12 hours. It's wonderful! I'm absolutely charmed by this list. It made my heart soar to see that I do some of them and I'm excited to implement the rest. Thank you. What a fantastic list! I think number 56 has to be my favourite and I completely agree with number 58! Thank you for this post, I LOVE it. I would add a few more, 1.choose your battles ( they will not want pink hair when they are 30)2.Have a family outing once a week,3.Have friends that have the same values as yourself,nothing is more frustrating than trying to keep up with the Jones'or feeling less of a Mother because you have one friend whose house is spotless and expects yours to be spotless too.4. Use grandma, sisters,girlfriends as respite care givers..and reciprocate when you can,5.Husbands/partners need to have a share of the cleanup chores and childcare.6. There is nothing wrong with ordering a pizza for Friday night dinner, then watching a child based movie for family night,7. Crap happens,roll with the punches.Kids can be washed very easily,so can clothes and the floor.8. Have a cool backyard, when you can.Nothing saves sanity by having a place the kids can play safely. Swing set don't have to fancy, turtle pools are cheap( adult supervision required ), sandpiles with dimestore digging toys, are all things that go to make a fun backyard.Save the fancy inground pool and bbque pit for when they leave home,9.VAlue Village, hand me downs, and the Sally Ann is your friend for clothes, toys, kitchen ware, electronics.Expensive stuff for kids will be outgrown, break,go out of favor.HAve one or two nice outfits for going out, and let Grandma cover the frilly dresses and grey flannel pants.10. Ask yoursekf, will anyone care in 10 years? If the answer is no, its not a big deal. Absolutely fabulous!!! Thanks for sharing and I also love teal!!! Love it... but be careful about keeping crayons in the car in summer! I learned that one the hard way. I have another idea that I always implement for my "planned overs" (I make these regularly... my family knows if I've made a big dish of something that they can expect it the next night too.) But, in addition to this, sometimes, I'll have more than one day's worth of leftovers, and I'm frugal, not mean; so I will take whatever is left and put it into the freezer for some other lunch or dinner. It has come in very handy numerous times! It's kind of like inadvertant freezer cooking. :) (Dont' ask why I cook such big meals... You'd think that in our family of 6 it would be hard to make a meal that would feed us all more than 2 nights, but it happens.) Thanks for sharing your ideas! I liked them very much! This is a fantastic list! You had me nodding along the whole way! When I wasn't nodding I was ooh-ing and ah-ing at your ideas. I'm going to share this with my friend who will be expecting their first baby soon. Thanks for this! I really enjoy your blog! I shared in on our facebook page for all the mommies on there! I could never do 55. NEVER. Great post! Thank you. I really needed to hear a few of those. Love your list! In reference to #26 - we love to eat our popsicles in the bathtub! Love it! I wanted to "Like" lots of your ideas!!!! I can't wait to explore more of your blog! I just love this list, I think we'd get along very well :) So glad to have found your lovely Blog! Love this post! 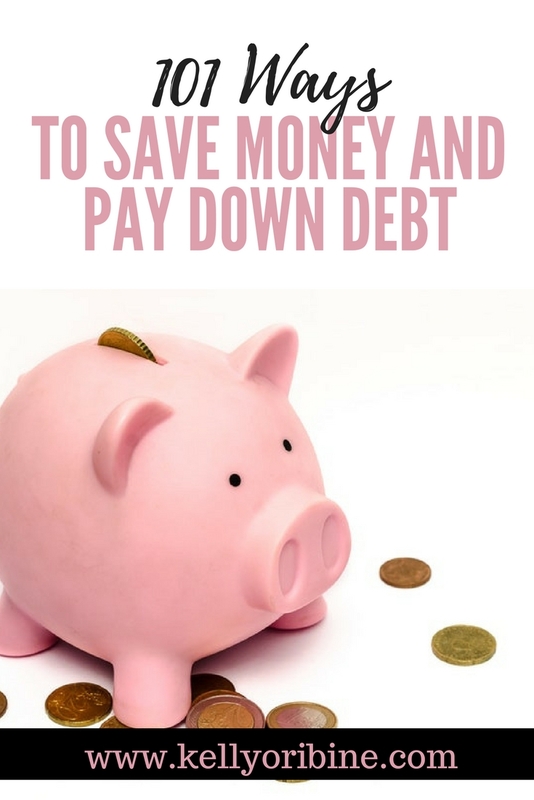 I shared this with my money saving page on facebook! :) Thanks so much! Fantastical!! Great ideas and reminders for all parents! I was surfing Pinterest and found you again, completely by accident this time!! What a great list and BTW: I LOVE Grace Based Parenting. What a great book!! All I can say is I love this! This is a great list, and I"m happy I found it via Pinterest. I'm a bit concerned about 57 ("You can use the same size sheets for the crib, play pen, and (folded in half) the bassinet.") It's important to have tight-fitting sheets to reduce the risk of SIDS, which has been found to be more prevalent (but still rare) in cases where infants have loose-fitting sheets, blankets in the crib, and the like. My playpen definitely uses a smaller sheet than my crib does, and same for most bassinets, I think. I hope maybe you'll re-think this item, and this is coming from a big-on-simplifying mom who eschewed most of the baby "must haves." Again, either way, thanks for a great list. Adding your blog to my google reader. I agree. Your list is fabulous, fabulous, fabulous, but when it comes to baby safety, it is worth a little extra $ to get the right fitting sheet for each respective mattress. I just have to comment that from that angle, our husbands are nearly identical...down to the clothing choices! It's a bit bizarre. I showed the picture to my husband, and he agrees. Such a wonderful list! Love that other families live like this too. Thanks so much for posting. A friend of mine posted this post on my Facebook wall. Now, I'm your newest GFC follower and on FB too. Would love you to stop by my blog at www.gricefullyhomeschooling.com and follow back. Thanks! Can't wait to read more. Wow! Thank you so much!! I'll print it and pin it on the refrigerator! Barbecuing more often simplifies because it reduces the amount of dishes you have to wash.
Barbequing at our place simplifies thing because my husband does the barbequing and cleans the hotplate afterwards! Amazing!! As a mother of 3 under 4, these really do help! What a wonderful list! So glad I found it. This is my first time you you're blog (loving it!) and I was wondering if you have some sugesstions that you use for #43 (keep a binder full of quiet time activities and simple craft ideas) anywhere on here? Hi Kelsey! I don't have a blog post about that yet....but I could in the near future! this is a great list...I a mom of girls 1 year apart, I've HAD to do some of this stuff...just to survive Ha! It's okay to let your son pretend to be a dog for the evening. Even if that means letting him eat his supper off of his plate on the *CLEAN* floor. Also, with sleeping through the night, he never did that until he was a little over 2 years old. We made a Sleep Calendar. Monday - Wednesday he would go to sleep and sleep by himself, and if he did, that meant that Thursday night he would get to snuggle Mama until he fell asleep. We also did "Good Job Tickets". Ever night he slept by himself he would get a ticket or award, then after he saved up 10 of them he could have a new toy for $5. We also used the tickets/awards for things like cleaning up his toys, brushing his teeth, helping Mommy clean, etc. It really worked for him. Love this list!!! I have also checked out some of your other links you provided in the list and was equally impressed. You have a new follower for sure!!
" Confiscate any toys that they fight over. Consider donating them to your church nursery or a local pregnancy crisis center." My sister and I had a stepmother that did this when we were children. It was very traumatic as a child to receive Barbies for Christmas from our relatives only to find our missing toys over at our cousin's house. As children we felt like the adults were stealing from us. We ended up playing with Barbies until we were nearly 12 and being picked on at school for it after my dad remarried. With little ones in my own home now it's almost never the toy that's the cause of the fight. If you take the toys they fight over away there will after time be nothing left. Instead I teach them to ask the other child if they can use it in a nice way, and teach the other child to share. thank you for posting this beautiful list! it made me realize i really need to slow down my life and love on my little ones more! Thanx for the awesome tips! now as for 56.. teach your kids to sleep through the night.. I didn't have to teach my oldest son (He's 3 now) because he started sleeping all thru the night at 2 months! :) but with my second son he is a 15 month.. at a year old I was tired of getting up at night with such a big boy! haha so I decided to let him cry it out for 2 nights with out getting up for him.. yes it broke my heart hearing him cry for me but just after 2 nights no joke! 2 NIGHTS! he got the hint that I wasn't going to tend to him because their was nothing wrong with him (he just wanted sum milk & mommy to rock him)& now it has been 3 months of sleeping all night long! :) hope this helps..
Not everyone is Christian. I promise you this. But, the rest of the list was wonderful. I like to let them eat their popsicles in the bathtub. Less mess and if they drop pieces, they melt right away. Great list! I added you to my Google reader! My mom used to make all popsicles and watermelon "back porch" food, and we'd use the hose to wash ourselves off after we ate it. And please let your sons dress up in your fancy clothes, too. Thank you for the time, effort and thought you've put into this list. simply amazing! This is a really helpful list. I just became a new mom 2 months ago and I'm learning a lot. 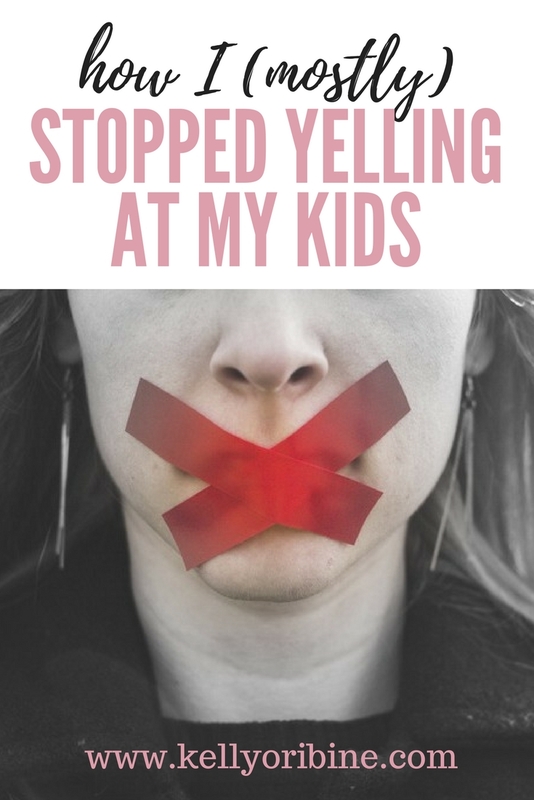 I enjoy reading other moms' blogs and helpful parenting articles. Thank you! this is great! i may print it out, laminate it and carry it with me at all times for reminders! I have three girls 9,7 and 4. We have had several times in our marriage that we sold our tv for food or gas money and lived without for almost a year. Those were some of the best memories. Especially having dances in the kitchen after dinner. Thank you for this. Today was a LONG mommy day & your list recharged me...reminds me that I don't have to be perfect...simply loving & laughing with my kiddos is enough. I came across this post on Pinterest and LOVED it! SO simple, so real, and perfect timing. I love the part about not expecting to much from them... or yourself. I was going to tell you my favorite, but i couldn't pick just ONE! This is great. I even laughed a little. I love how you suggested the Potty Training in a Day, and then right under it you said to not worry if it doesn't work, because it doesn't work for my daughter. I love #97. And your children are SO BEAUTIFUL! I couldn't get over how wonderful those pictures are. :) Thank you so much for sharing your list! I'm going to take it on as a challenge. I have an issue with no 36, why can't boys dress up too? way to teach them sexism at an early age :-| A great list otherwise though! Are you trolling? How did you jump to this being sexism? I have 4 kids, and a crazy military life! I agree with your list 100% Thanks for sharing! Thanks for posting practical ideas that don't just imply you should let your kids do everything they want all day without even thinking about training them to get involved in necessary household chores (at an age appropriate level of course). Some articles seem to say that. My kids are 8 and 6 now and we've done quite a few of these but still got things to learn. of course i'd be willing to do a buy nothing christmas, but christmas sales help keep people employed and i myself would never ask or tell anyone to stop shopping for the big holiday, i cant believe frugality is 'advertised' so much these days when we need the spending to keep up the economy. Ok, I know you posted this SO LONG AGO, but I just found it on pinterest and absolutely loved this list. Just down to earth good stuff. You sounds like a great mom. Thanks for sharing! Dont do what other people tell you, or dare to make lists of. seriously some helpful tips but the whole tone of do this do that.. Ott, and like another commenter said the whole world isnt Christian! Loved the list, except for the religious advice. Why is raising your kids Christian and reading the bible necessarily a good thing? If you want to advocate religious or spiritual teaching, I would suggest being more vague and therefore more inclusive too all. The way it reads now comes across as discrimination. This is a great list, however, I have to disagree with using the 'Potty Training in one day' book. It teaches using humiliation to train your child to use the potty...which i'm surprised you would recommend. This approach is super harmful for sensitive kids. Otherwise, love the list! Hey, Kelly! 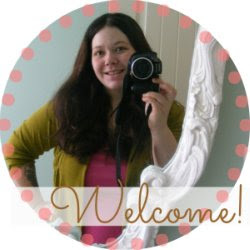 I found you through Pinterest, and I have greatly enjoyed perusing your blog! I'm going through the 31 days of organizing right now. I'm also the mother of three girls and one boy, and I'm expecting another baby girl in April. I like your list, and I have to disagree with the anonymous tip about potty training in one day. The book I used for this has nothing to do with humiliating your child, but actually encouraging your child through celebration of dryness and successfull pottying. I used it for my first three girls with great success when they were not yet two years old. I knew I should probably wait awhile with my son, so I waited until about six weeks after his second birthday. Despite all his readiness cues, it didn't work out too well, and so ready to begin the homeschool year, I've let him spend the last five months in diapers. Just a heads-up that it may not work the same for your son. I will be applying many of the principles as we try again in about a week, and I'm praying it works this time! Hi Kelly, I really enjoy your blog and have tried many of your recipes and last week I had a go at the rag quilt for a friends baby. Everything has worked out beautifully (my family especially loves the buckwheat and spelt pancakes.) I find your approach to daily homelife so warm and I have really taken on board a lot of your ideas and suggestions and enjoyed the results. I wanted to ask you about homeschooling as where I live (far northern Australia)nobody I know personally homeschools. I wonder what your day looks like and if your curriclum is government supplied and anything else you can tell me about how and why you homeschool. I have twin girls nearly 4 and everyone has started asking me what school I'll be sending them to. I get a know in my tummy everytime and feel like I need to explain myself and it's all getting a bit much!! I would really appreciate your words of wisdom!! Thanks so much. Hi! Our curriculum is not government supplied. The requirements for homeschoolers are different in different locations, so you'll want to see what is required where you live. and I hope to do a day-in-the-life-of sort of post one day soon!